White has made a mistake at . Where can Black play next, making miai of which two moves to save his stones? unkx80: White probably made another mistake earlier. There is no way for White to capture the Black chain, even if White plays elsewhere. Dieter: correct. 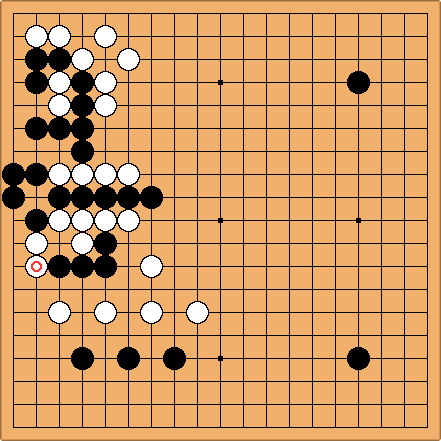 The exercise is drawn from a pro commentary of an amateur game, with Black missing this opportunity. Miai thinking might have helped.